Nominees for the 2008 Korea Drama Festival Awards, scheduled for November 1st at Jinju, South Gyeongsang Province, were announced yesterday on October 7. Nominees for the best drama category include “Legend,” “Angry Mom,” “Dae Joyoung,” and “Gourmet.” Life time achievement nominees are Choi Bul-am, Baek Il-seop, Na Moon-hee, and Kang Bu-ja. The first international festival for a single genre, the festival will feature a wide variety of interesting events, such as drama photo exhibition at the Jinju National Museum, Asian drama screening show, an international forum on Korean dramas, and a talent search. 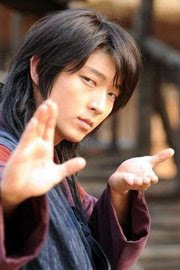 "Iljimae," a popular drama series on SBS which recorded an average viewer rating of 31.4%, will be aired in Japan. 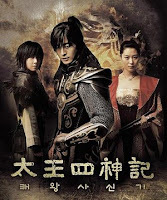 The drama series stars popular actor Lee Jun-ki. The satellite channel So-net TV, which specializes in introducing Hallyu drama series through "Asia Dramatic TV," plans to air Iljimae in Japan starting November 24. "Mawang," a popular drama series that was recently remade in Japan, as well as "Lobbyist" and "Gyeongseong Gibang Movie Theater" will also be aired in Japan. So-net TV opened an official website for Iljimae on October 10. It also plans to air a special documentary on the drama series on November 15.